Business owners are aware that protecting your assets is vital to your business. Many people have property insurance and workers compensation, but people who sell or lease horses should protect their business with horse insurance. Safeguard your business when you have an equine liability insurance policy from Ark Agency Insurance Services. Our coverage plans can cover transactions that are conducted through auctions, private sales, and leases. No matter if you are selling or leasing animals, equine liability insurance can offer the protection you need. We see incidents like the ones listed below occur often. By having a horse liability insurance policy that is customized to your business, you can help protect your business from financial loss when your horse operations are involved in a bodily injury or property damage. There are inherent risks someone undertakes when participating in horse-related activities. Accidents can happen, especially when there are people of varying capability levels attempting to touch, ride and control these animals, even when the horses are very well trained. Despite your sound management practices and good intentions, you may face an unfortunate incident. Selling and leasing of horses can have great rewards, but also carries significant risk. You may deal with clientele across the U.S., that are from all walks of life and levels of horse experience. Each will have different expectations about the horses they want or need. Initially suiting people to horses can sometimes be a problem when they are introduced to a horse and try it out. And horses can change personalities when arriving at and adjusting to new handlers and environment. There can be problems involving an implied warranty of expected or advertised characteristics of an animal that is sold. Well-written, properly signed sales agreements, bills of sale, lease agreements, warning agreements and release waivers are critically important, yet cannot cover every potential problem by which someone could later be injured in relation to the horse. Short-term leases can, in fact, carry even more risk than those that are long-term. Our trained representatives can help you identify probable risks for your business and customize a policy to protect you. 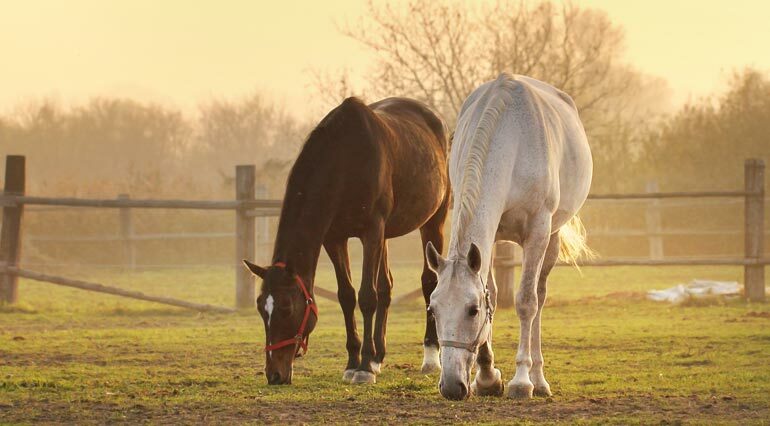 We can discuss different horse insurance plans that provide you with ideal coverage options. Request a horse insurance quote by calling 1-800-328-8894 right now.